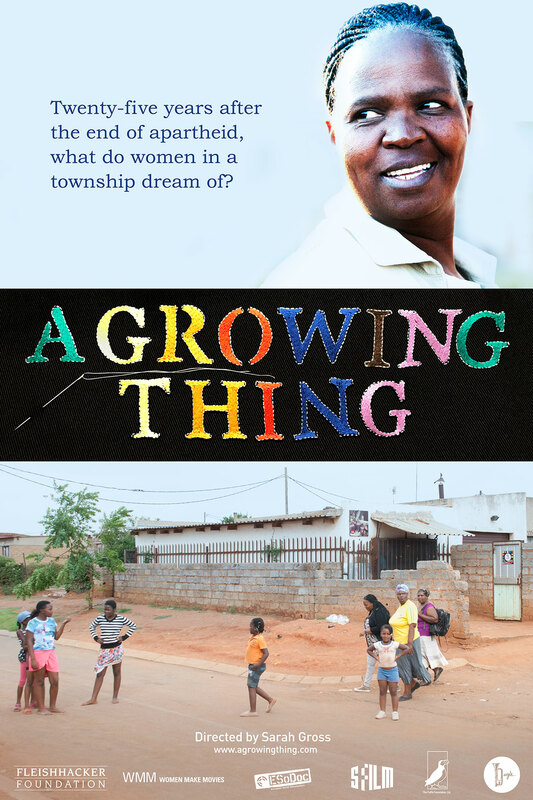 A Growing Thing is a feature length documentary about women living in a township near Johannesburg, South Africa and the women’s empowerment project where they work. Having grown up in a multi-racial family in the U.S., producer/director Sarah Gross has a deep personal connection to this story. Extended visits over the past four years have helped her build a close relationship to Jabulile and the women of Kopanang. Produced by Bugle Film Productions in Berlin, directed by Sarah Gross, edited by Frank Brummundt, director of photography Luana Knipfer, music by Momo Djender, co-produced by Athena Kalkopoulou. A Growing Thing was fiscally sponsored by both Women Make Movies and the San Francisco Film Society, supported with funds from The Fleishhacker and Puffin Foundations. It was developed at ESoDoc and the IDFAcademy and presented as a work-in-progress at DOK Preview at DOK Leipzig Film Festival 2017. 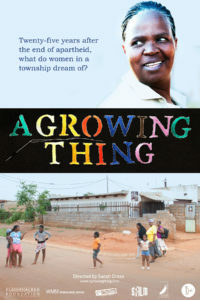 Starting 27 April, A Growing Thing will be broadcast on Deutsche Welle in English, German (‘Jabulile Will Fliegen’), Spanish (La oportunidad de Jabulile’) and Arabic (جابوليلي تريد الطيران – قصة جنوب افريقية). Starting April 26th also on DW Youtube Channel. A Growing Thing will be screening at the San Francisco Doc Fest in June 2019! Visit their website for exact dates / times. Stay tuned for more screenings!